Established by Ernst and Young “Entrepreneur of the Year 2011” international competition awards ceremony was held on 4th June 2011 in Monte Carlo. 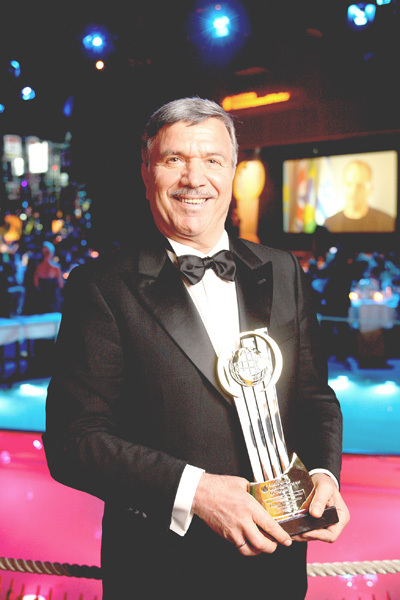 Anatoliy Popelyushko, President of Rakhat JSC and winner of Kazakhstan’s 2010 “Entrepreneur of the Year” award, proudly represented the country at the international final of the “Entrepreneur of the Year” competition in Monte Carlo on 2-5 June 2011. “Entrepreneur of the Year” is one of the world’s most prestigious business awards for entrepreneurs. The unique award makes a difference through the way it encourages entrepreneurial activity among those with potential, and recognizes the contribution of people who inspire others with their vision, leadership and achievements. As the first and only truly global award of its kind, Ernst & Young “Entrepreneur of the Year” celebrates those who are building and leading successful, growing and dynamic businesses, recognizing them through regional, national and global awards programs in more than 140 cities and more than 50 countries.